Here at United Movers we’ve come together to produce a first-time buyers guide, to help you plan out whether you want to buy a home or not. We will take you through the process of buying your first home, including tips for saving for your deposit and applying for a mortgage. Before you can start looking into properties, you’ll need to start saving up for a deposit. Most of the time, you should try to save up at least 5% to 20% of the price of the home you would like to buy. However, by saving more than 5% it will give you access to a wider range of cheaper mortgages available on the market. What else will I need to save for? You may feel like you’ll be able to pay your first repayment, but it is imperative that you are able to really afford to buy a home. We feel that it is a good idea to put together a budget before you start looking for a property, so you know how much you can really afford. Lenders can check whether you can afford the mortgage and will also ‘stress test’ your ability to make your payments. When applying for your mortgage you will need to show lenders evidence of any outgoings you have and prove what your income is. 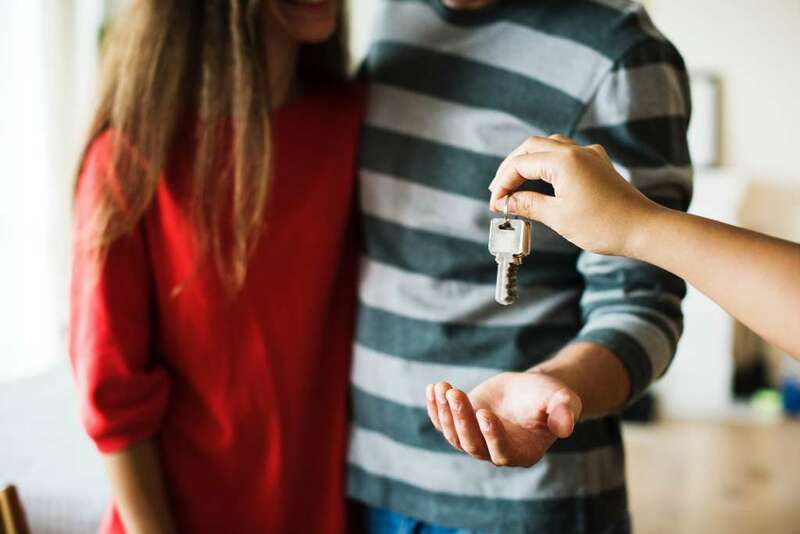 There are several government backed schemes out there to help give home buyers a hand with getting onto the property ladder. It is worth checking whether you can use one of these schemes! You don’t have to worry about struggling to find a mortgage deal, as there are many out there for you to choose from, so it can be tricky to find the right one! It is worth looking around and doing some research, and when in doubt, speak to an expert! When looking at properties you may have seen these words crop up. Basically, freehold means, you’ll own the property and the land it sits on. However, if you buy a flat, you’ll be buying a leasehold or in some cases you will buy a share of the freehold. However, if you’re self-employed, you could be asked for tax returns and business accounts going back two tax years. There is a lot more that goes into buying a property, but it’s worth doing some research or asking a professional for help! But once you decide on your house, and have a move in date, the team at United Movers can help you move everything to your new home! Simply get in touch to find out more! How to Choose the Right Removals Company?